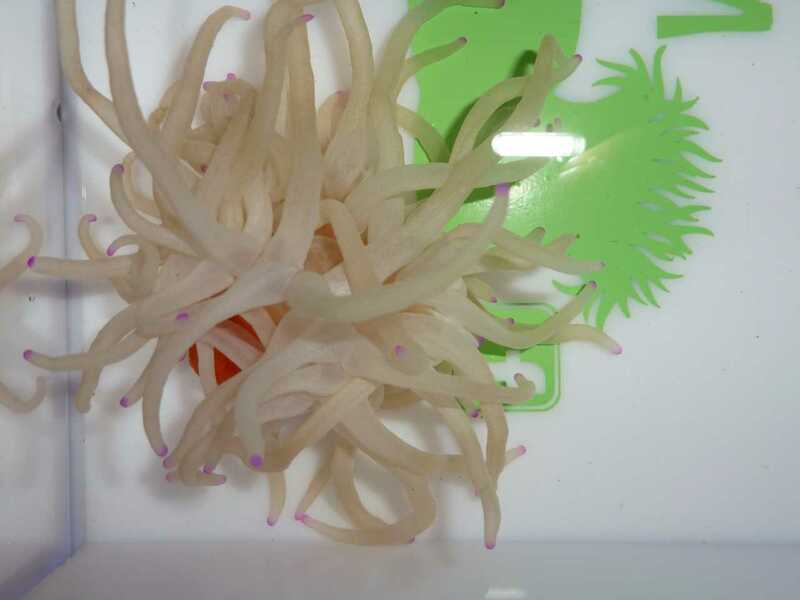 Notes: The Condy Anemone requires strong light and should never be purchased if a good lighting system is not in place. 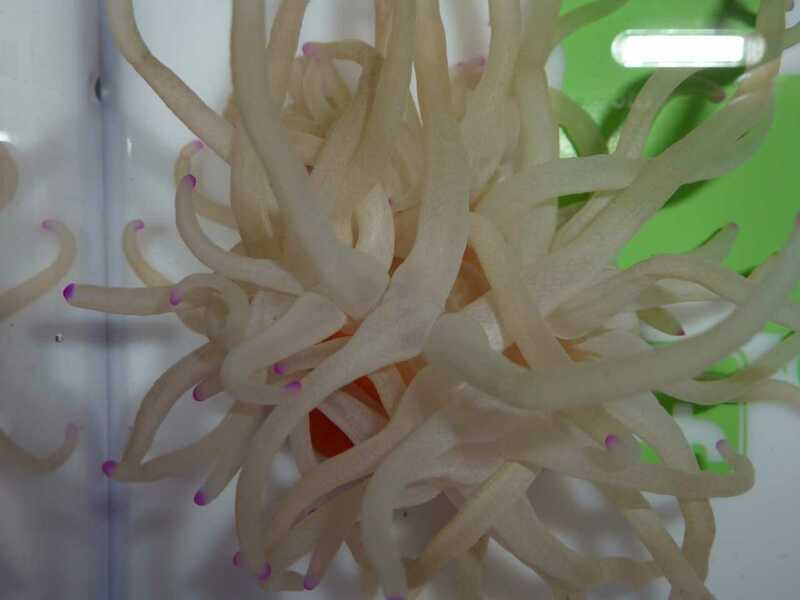 It will do well in an aquarium with live rock and several crustaceans. 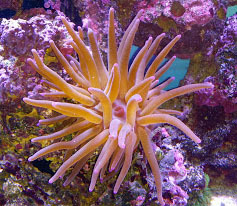 Although a Condy requires a reef environment, it is not the best suited for the reef aquarium. 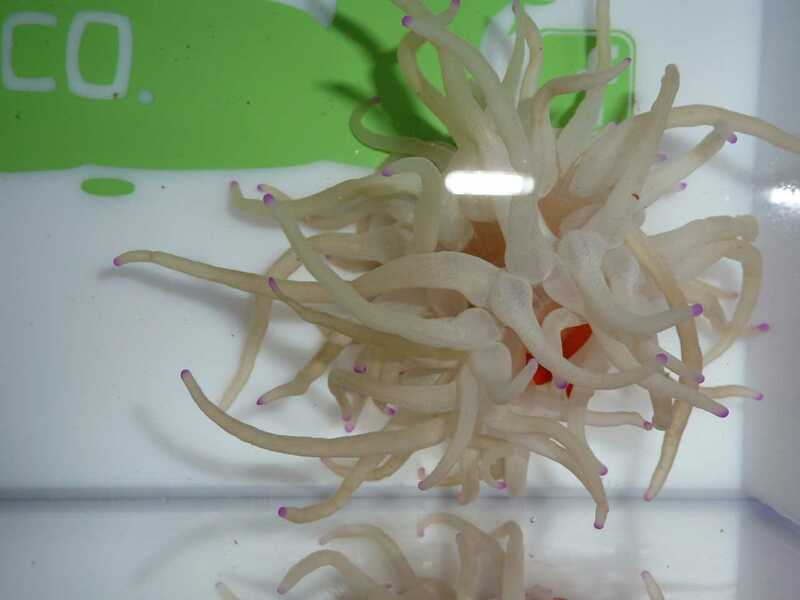 The Condy Anemone moves around the tank and has a sting that can inflict grave damage to other anemones and corals. Do not include its natural predator, the large Red-Leg/Stareye Hermit Crab of the genus Dardanus. 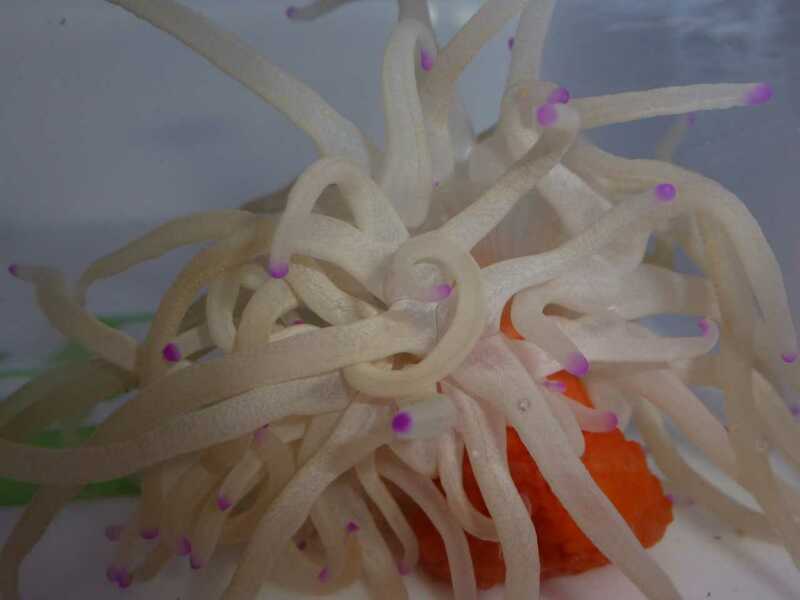 Unlike other anemones, the Condy Anemone does not have a relationship with any particular fish, and it is rare for any type of clownfish or damsel to reside within them.